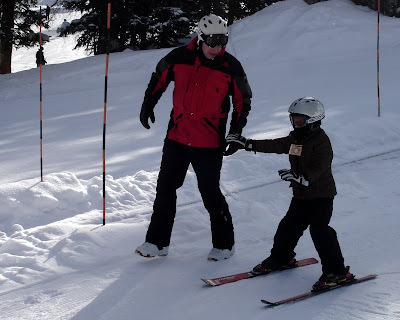 Singing and Spinning: "I learned so much about skiing"
"I learned so much about skiing"
I am really glad that Scott has a good friend with a son about Jade's age. It means fun get togethers with them playing and giggling. 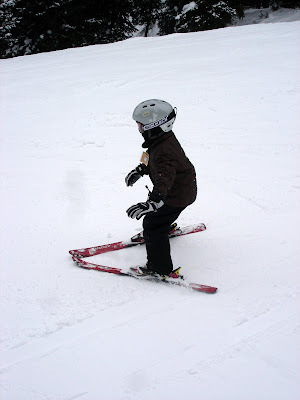 For Jade, it has also meant getting to go skiing. Friday evening, Jason texted Scott letting him know that he and his oldest son were going to hit the slopes and did Scott and Jade want to come. I jumped at the chance of getting Jade back on the slopes. She's younger than I was when I started, but she is way more coordinated than I was. This was her second time and she really picked it up quickly. Yes, we absolutely make her wear a helmet. I figure, if Scott feels like he needs one when he's snowboarding, Jade should definitely wear one skiing. Scott said it was so cute that you could barely see her nose with all of her gear on. 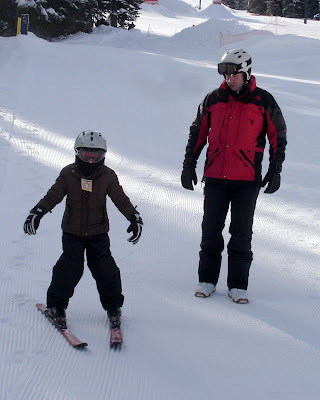 The ski instructors told the dads that the kids did great but that they should stay on the bunny slope. So Jade and Topher wanted to ride up the lift just the two of them. Scott and Jason rode the chair behind them. By the time the dads got off and got fastened into their boards, the kids were down at the bottom. That made for an easy decision- for the next ride of the day they would do a blue run. 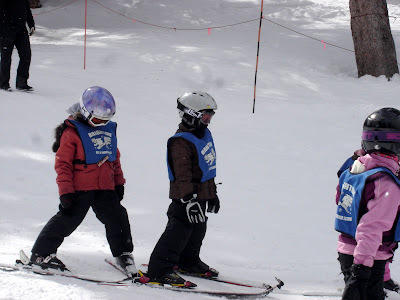 When she returned home from her day on the slopes, she told me that she "learned so much about skiing- it was awesome!" ***Thanks Jason for taking the pictures. 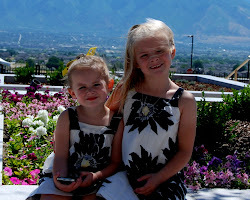 How cute are those kids! Daddy/kid outings are such great memories. Good job Dads-- and Moms for supporting these "play dates"!